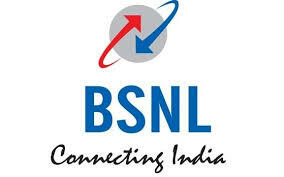 some impressive new launches from BSNL in the recent past, the state-owned telecommunication service provider has revised the BSNL Rs. 319 prepaid recharge plan in all circles. Coming to the details, the BSNL Rs. 319 prepaid recharge plan comes with voice only benefits which include unlimited local and STD voice calling on any network expect in Delhi and Mumbai circles while there is also no FUP limit on the voice call benefit. This prepaid mobile recharge plan was targeted towards people using a feature phone or for those who just need voice calling without any data or SMS benefits. Meanwhile, the BSNL Rs. 525 and Rs. 725 postpaid plans have also been revised recently to offer more than double the data as the BSNL Rs. 525 postpaid plan now offers 40GB of high-speed data instead of 15GB while the BSNL Rs. 725 postpaid plan now offers 50GB of monthly high-speed data. These postpaid plans from BSNL also come with unlimited local and STD calls, 100 SMS per day and a one-year subscription to Amazon Prime worth Rs. 999.